Location: west of Whitehead St, south of Southard St and north of Catherine/Amelia St. 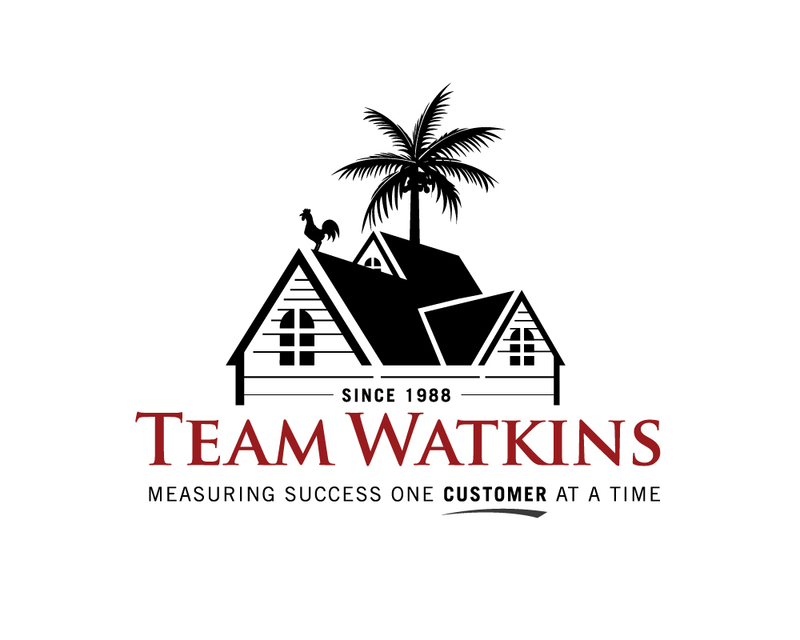 The name is derived from its many original residents whose ancestors migrated to Key West in the early 1800’s from the Bahamas. Bahama Village is the up and coming neighborhood in Key West as well as the most laid back. Home of funky shops and fantastic eateries of all varieties, there is something for everyone to enjoy. The only public swimming pool is located here. World-famous Blue Heaven restaurant is a favorite of tourists and locals alike. Going into Bahama Village is like traveling back in space and time. "The Village" has own style of Caribbean island vibe with unique architecture and vibrant colors. It hosts “Goombay” every October right at the beginning of Fantasy Fest. Location: west of White St, south of United St and east of Vernon Ave/Elizabeth St.
Henry Flagler opened the preeminent Casa Marina Resort on New Year’s Eve 1920. The area proudly adopted the name, with many homes in this neighborhood dating back to this luxurious era. CM is the closest neighborhood to Higgs Beach, the second biggest public beach in Key West. 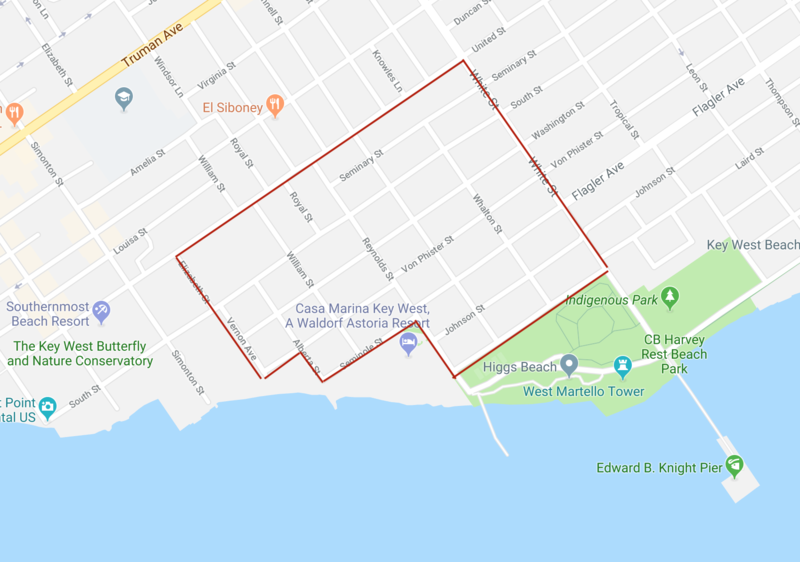 It is a very refined neighborhood and probably the most residential in all of Key West, not many restaurants or shops around, with the exception of many local's favorite dining establishments, Louie's Backyard with a great view of the Atlantic Ocean, and Salute's, which is located right on Smathers Beach. When it comes to house hunting, there is some kind of unspoken rivalry between Old Town and CM we dare to say. At the entrance to the island of Key West, the unique Key West Golf Club's 18 holes encompass over 200 acres of beautiful Florida Keys foliage and wildlife. Golf Club legend REES JONES masterfully designed the Key West Golf Course, an 18 hole, 6,500 yard course to be a challenge to players of all abilities. Location: east of White St, south of Truman Ave and west of Venetian Dr. The Midtown district is geographically the heart of the island, divided into East and West neighborhoods (by First/Bertha St). Midtown East provides some of the most suitable properties for first time Key West buyers and people with young families. Desirable condos include the fabulous ‘La Brisa’ and ‘Key West by the Sea’ at Smathers Beach and ‘Roosevelt Annex’, overlooking the Gulf coast. Stunning single family homes in quiet, palm-lined streets make Midtown East a highly popular neighborhood. You can take a morning stroll to Smathers Beach and watch a gorgeous sunrise. La Brisa sits wedged between the fabulous views of the Atlantic and the unique Salt Ponds and wide sidewalks along South Roosevelt Boulevard make cycling and rollerblading along the promenade a popular activity for many. Midtown blends a mixture of traditional Conch architectural influence with some modern styles. These homes tend to have more land with well established tropical foliage, and present some of the best real estate deals on the island. 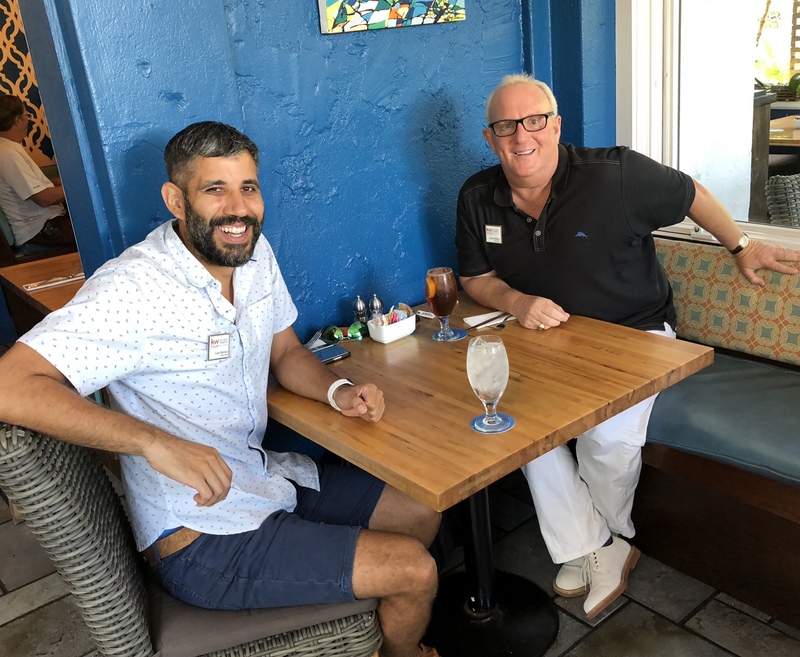 The neighborhoods are safe, quiet and family-friendly, though still within easy access to the liveliness and high amenity area of Downtown Key West. Adjacent to Midtown is New Town, the first neighborhood you enter coming overland onto the island. This might be the most neighborly and most suburban area of Key West. 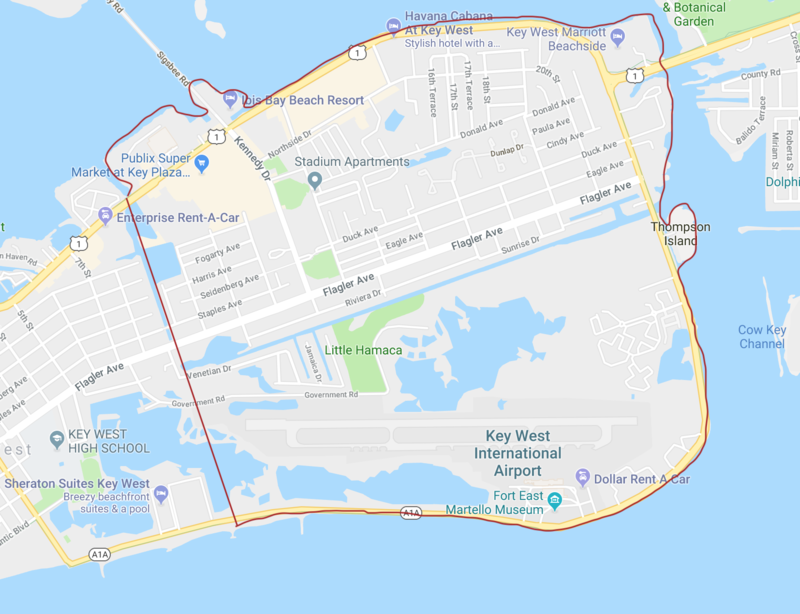 Populated mostly by year-round residents, it features middle to upper end homes and apartment buildings, shopping centers, retail malls, movie theaters, gas stations, hotel chains, schools, ball parks, restaurants, a skateboard park, and Key West International Airport. Duval is a five-minute drive away, or there’s the convenient option of scooter or city bus transportation to get around. On the Atlantic side is Smathers Beach with its 2.5-mile sidewalk and the East Martello Museum. In counterpoint to the classic Victorian architecture and tin-roofed conch cottages of Old Town, the architecture here ranges from modest Mid-Century modern to palatial beachside estates. As for colorful residents wearing flip-flops and easy-going attitudes, this area takes its cue from the other neighborhoods of Key West. The crown jewel of the Island, Old Town encompasses almost everything visitors flock to our island paradise to enjoy.... rich and colorful history, world-class restaurants, amazingly diverse shopping, unique architecture and so much more. One of the main arteries of Old Town, Duval Street, runs from the Atlantic Ocean to the Gulf of Mexico and has the islands largest concentration of late night clubs, bars and eateries, along with a huge selection of retail, art and convenience stores. 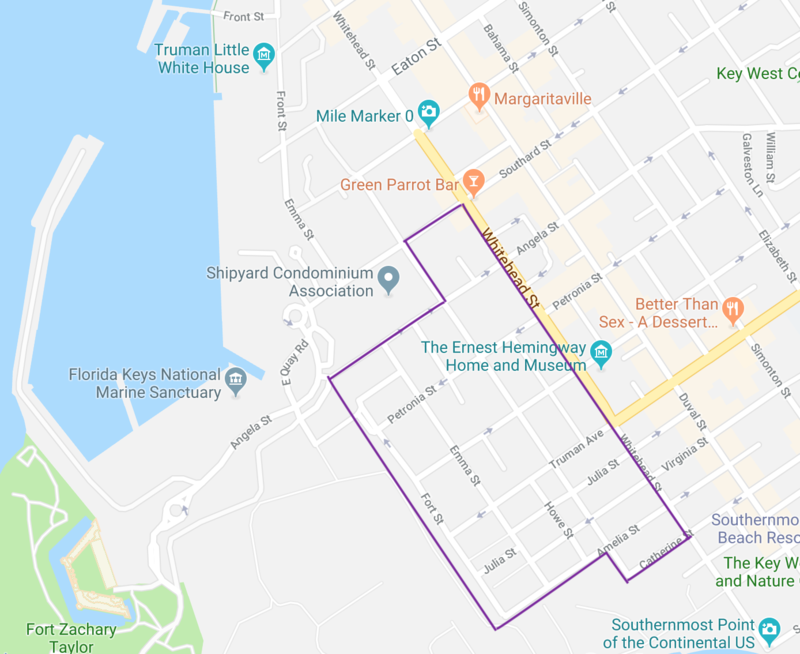 Key West has an eclectic mix of over 3,000 wooden buildings dating from about 1886 to 1912, this collection of 19th century structures is the largest historical district on the US Department of the Interior’s National Register of Historic Places. Most of these beautiful homes are located within the Old Town neighborhood. The beauty and character of many of these historic structures are usually complemented with well-manicured exotic tropical gardens with private pools. In fact, Key West is home to some of the most gardens in South Florida. The Meadows is entirely residential and is criss-crossed with narrow, tree shaded streets including Olivia, Georgia, Pine, Florida, Newton, Petronia and Pearl, with homes dating back to the first decades of the 1900’s. 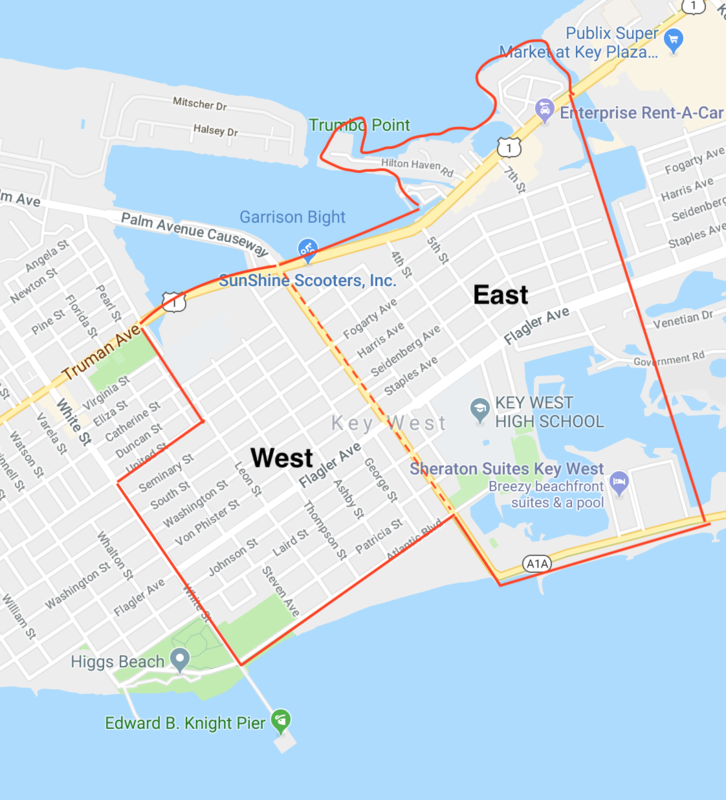 In early Key West history, this once remote area of the island was in fact pastures with a milk farm, cows, chickens, and horses, in a very rural setting. 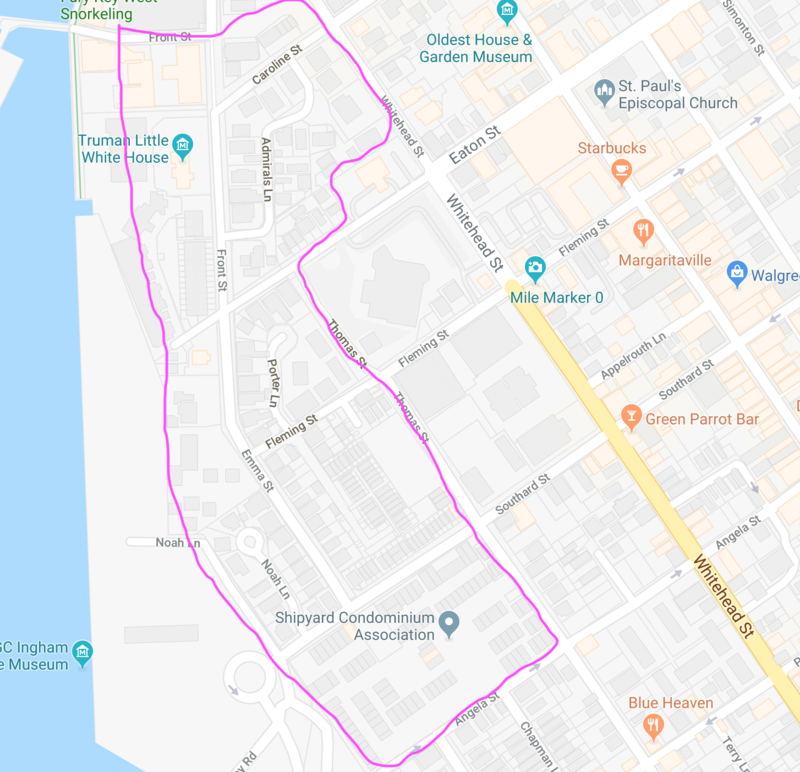 Today, there are tree-lined streets and sidewalks with bicyclists and pedestrians enjoying a ride home for a peaceful evening or later on, out towards Duval Street for a night on the town. Whatever the mood or occasion, the residents of the Meadows enjoy quiet enchantment on the edge of excitement. Formerly the Truman Annex Naval Station, this award winning, mixed use redevelopment sits on forty five acres, was completed in 1996, and consists of four hundred and twenty five classic conch style, single family homes, high end condominiums, a hotel, affordable housing, parks, marina, retail, commercial and museums. The community includes several designated National Register properties and most significantly the Little White House, the former vacation home of President Harry Truman which is now a historic house museum. Many refugees from the 1980 Mariel boatlift arrived via the Truman Annex. The ship berthing dock and the Outer Mole (Harbor) have been retained by the Navy, which dredges the harbor and collects 40 percent of cruise ship docking fees. 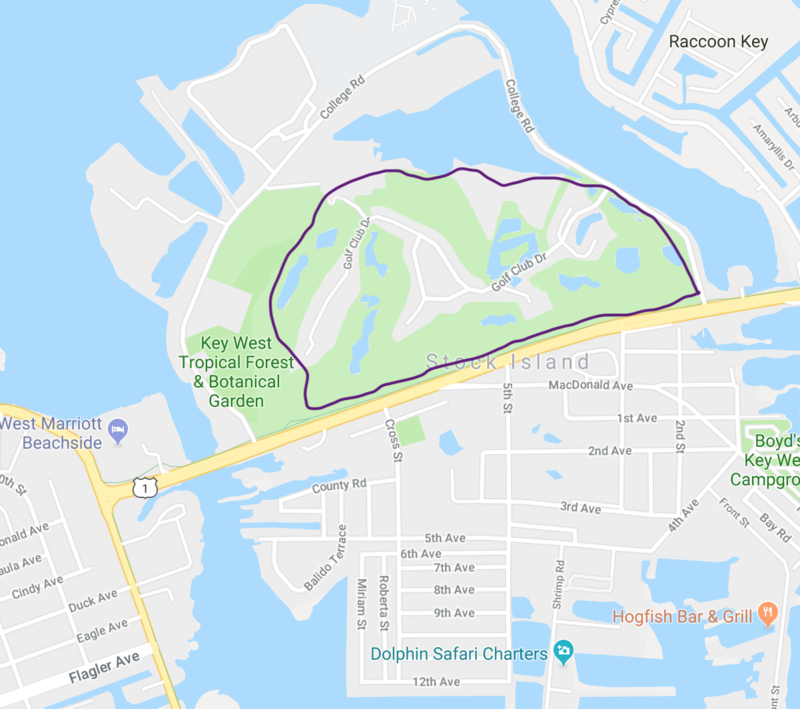 The area around Fort Taylor, as well as the fort itself, is now under the control of the State of Florida as Fort Zachary Taylor State Park. 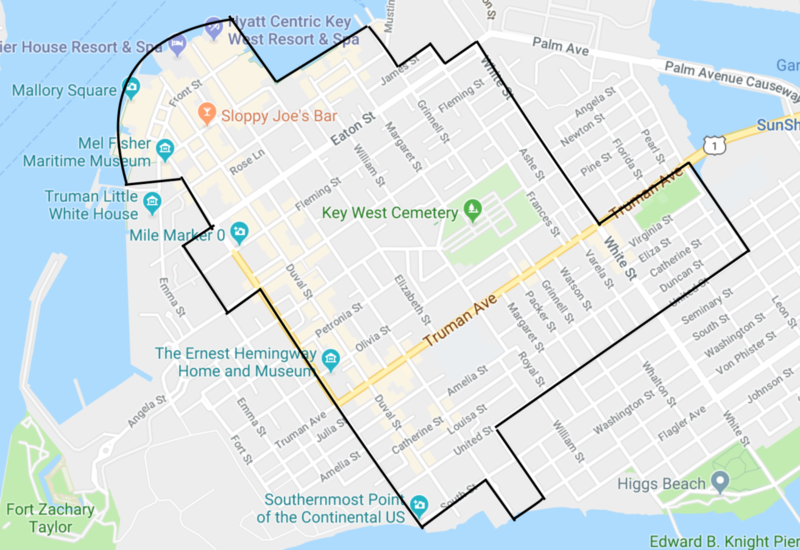 Much of the annex was sold to private developers who have made it a gated residential community (which does not create a barrier to visiting the Truman White House within this area), while 32.4 acres (131,000 m2) were transferred to the City of Key West at no cost to be used for green space and to protect a neighborhood known as "Bahama Village."